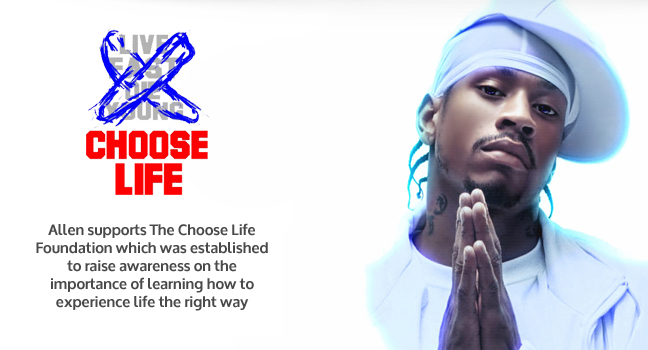 By Ben Golliver of SportsIllustrated – The Sixers honored 11-time All-Star guard Allen Iverson by retiring his No. 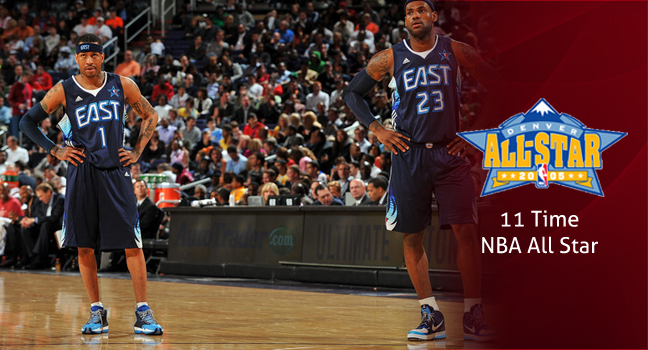 3 jersey during a ceremony at halftime of a game against the Wizards at the Wells Fargo Center on Saturday. 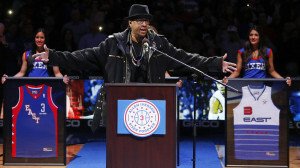 Wearing a black jacket, black pants, black glasses, a black hat and gold chains, Iverson addressed the crowd at center court in front of a line of his old jerseys. He was welcomed by the Philadelphia crowd with “M-V-P” chants. 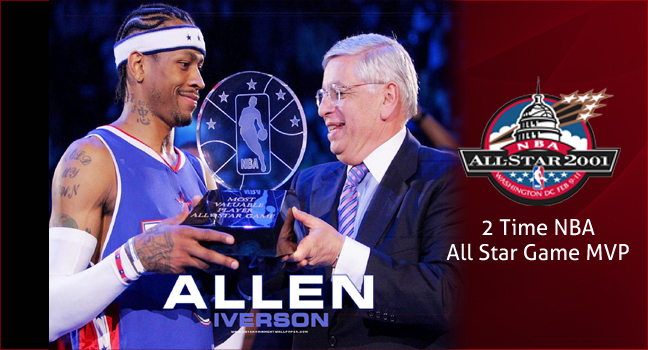 The Associated Press reports that the Sixers went all out for the ceremony. 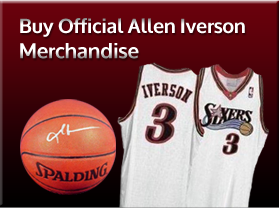 The Sixers wore special ”Iverson Forever” patches on their jerseys and Iverson’s 3 on their pre-game warmup shirts. NBA commissioner Adam Silver was in attendance for the ceremony. 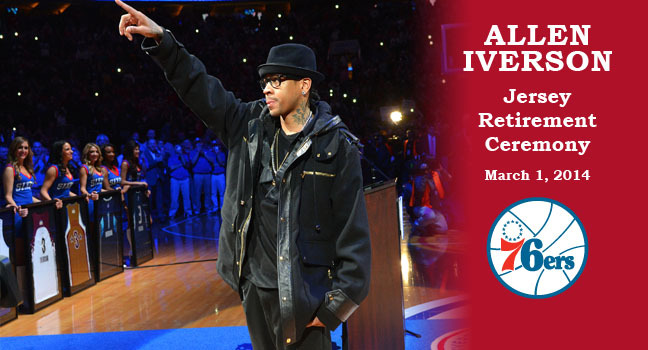 The Sixers announced back in November that Iverson would have his jersey retired. 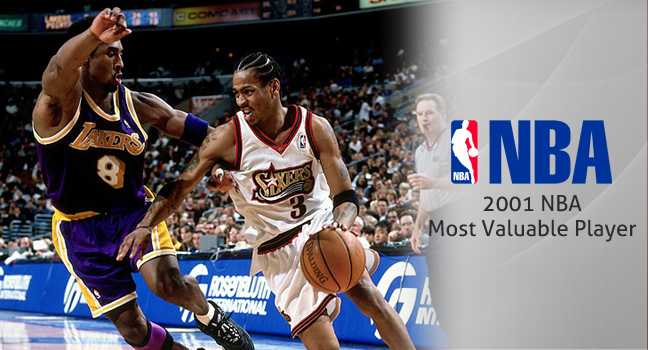 The honor was only a matter of time, as he served as the face of the franchise that he carried to the 2001 Finals. 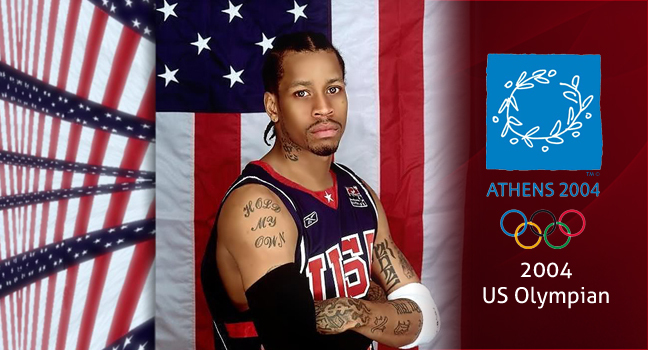 Philadelphia selected him with the No. 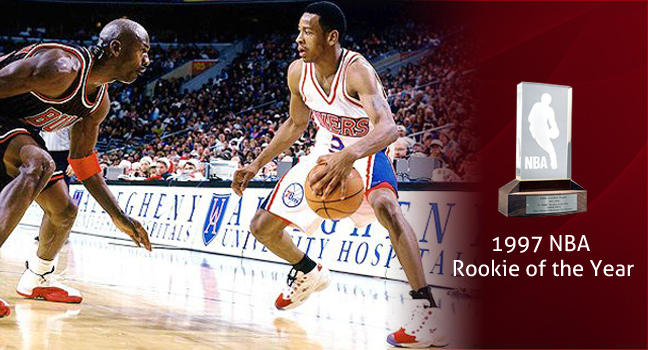 1 pick in the 1996 draft and he spent the first 10-plus years of his career in the City of Brotherly Love. 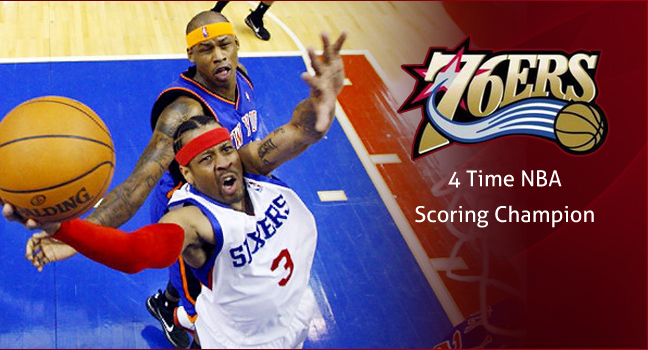 After stops with the Nuggets, Pistons and Grizzlies, Iverson then took a brief homecoming victory lap with the Sixers in 2009-10. 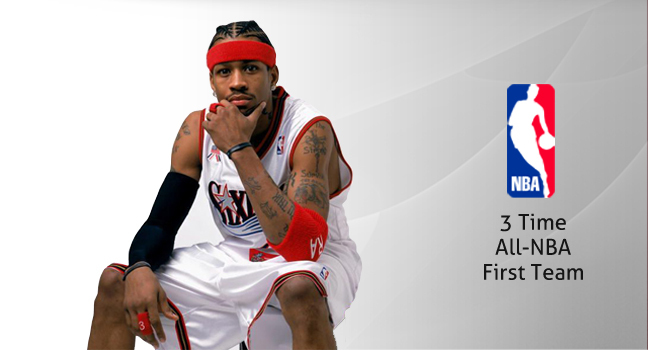 The Sixers have previously honored Iverson with his own bobblehead night and they played host in October when Iverson formally announced his retirement from basketball.